Hiccup is a young Viking enjoying his life. He is the son of Stoick the Vast, the chief of the village of Berk. 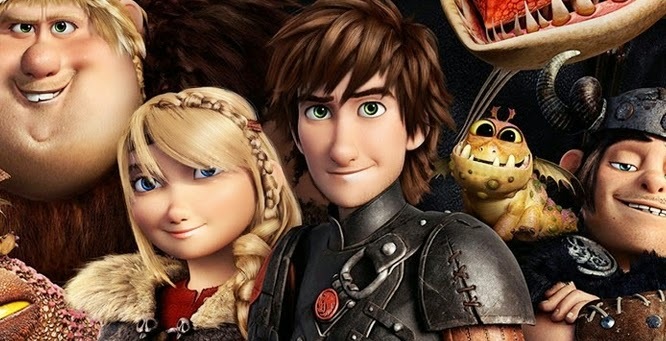 Hiccup is preparing to marry Astrid, a beautiful young woman and an accomplished dragon rider. Hiccup is also enjoying exploring the world on the back of his dragon, Toothless. Together they are discovering new lands, and learning how to help each other fly. 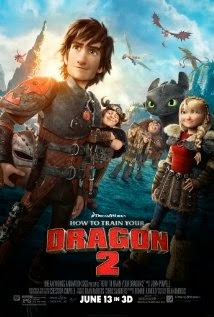 On one journey, Hiccup, Astrid and their dragons are capture by Eret son of Eret, a dragon trapper who is working for the villainous Drago Bludvist. Drago intends to use dragons to control the world. How Does This Relate to Adoption? Hiccup’s mother left Hiccup long ago. Hiccup does not know why. Largely because of this, he has some identity issues. He tells a friend, “You know exactly who you are, but I’m still looking. I know I’m not my father and I’ve never met my mother, but what does that make me?” (His friend responds by saying that Hiccup’s identity is not out in the world – but in his heart. The relationship between Viking and dragon is a close, loving partnership between two people from different families (or species in this case.) Drago Bludvist tries to use a father (Alpha) dragon to rip apart the relationship between Vikings and dragons. The film shows that identity is drawn from your roots, but also shaped by your own choices. The theme, “Leaders protect their own” runs through the film. However, as the film progresses, the definition of “our own” seems to become more inclusive. Although the reunion of Hiccup’s parents is unrealisticly quick and simple – they sing one of the most delightful love songs I’ve heard in a film. The villain uses control of will to bend dragons to do his bidding. One character expresses, “Good dragons under the control of bad people do bad things.” Drago compels Toothless to kill Hiccup’s father. Hiccup initially sends Toothless away, but ultimately forgives him. Hiccup attends his father’s funeral and openly mourns. The scene is powerful, but might be too sad for kids who are mourning lost parents. One character jokingly tells an underperforming dragon, “I’m going to put you up for adoption.” The line is delivered so quickly that it might be missed, but some people will hear it and be bothered by it. I’ve never cried while wearing 3D glasses, but this almost became the first time. How to Train Your Dragon 2 is far more powerful than I expected for a kids movie. Hiccup finds his long lost mother. His father dies, killed by Hiccup’s own pet/friend/dragon. Hiccup inherits his father’s place as chief of the village. How to Train Your Dragon 2 is a well-made, exciting film with friendly characters, beautiful visuals, and a strong enough plot to keep parents and kids entertained and invested. It will appeal to kids as young as 4 or 5 because of the appearance of the film, and will probably be enjoyable for a goo number of adults too. There’s one caveat though – the film might not be a good fit for kids (or teens) who have lost or lost contact with any of their parents. The film is powerful, and the specific issues that make it powerful might be very hard for some viewers to enjoy: a long-absent mother being reintroduced out of nowhere, parents quickly and seamlessly reunifying, and father dying – quickly, unexpectedly, violently and onscreen. This is a good, well-made movie. In the course of being a good movie, it has one of the highest trigger potentials I’ve seen recently. Foster and adoptive parents should probably see this first to decide whether it will be too heavy for their kids. Dreamworks Animation is also the studio behind Kung Fu Panda (click here) which has some pretty strong adoption themes. If you haven’t checked out the Kung Fu Panda movies, you might like to. 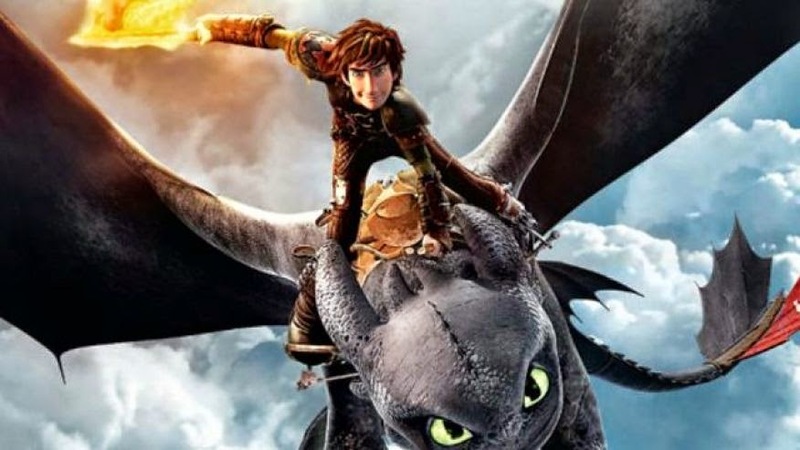 Is your identity derived from your parents (Hiccup and his mother share a love of – and skill with – dragons), or is it self-generated (Astrid told Hiccup, “who you are is not out there, it’s in here.”)? As with the recent X-Men movies (click here for the latest review), an important question is raised: What do you do with the pain that others have introduced into your life? Do you turn it outward, acting in anger against others, or do you work for healing and peace? Are there people that are important to you that you don’t see anymore? What do you imagine about them? What would you ask them if you could? I’m the auntie of two precious kids who came to my sister through adoption. I was going to take them to this movie, but now I will not. Your review was invaluable to me. Thanks so much. Hi Beegirl - Thanks so much for your comment. It means a lot to know that the review was helpful. There was quite a bit of good stuff, too, in the film. Kung Fu Panda 2 is great and would probably appeal to the same age group that this one appeals to. I'm so glad I found your website! I took my 5 year old daughter (adopted internationally at 6 months, no contact with her birthmother at this point), but didn't know about the plot. She burst into loud sobbing tears right at Dad's death. (How to Train Your Dragon is her favorite movie and she adores Hiccup and Toothless.) Wish I'd known so we could have waited and watched at home with some preparation. Hi Kerry - Thanks so much for sharing and for the kind words. I hope your daughter is recovering from that particularly sad moment in the film. I like what you said - it's not that a film needs to be avoided - it's just thta it's helpful to be able to prepare ahead of time. I really appreciate that you took the time to comment!